Can Government Regulation Keep Pace with Emerging Technology? 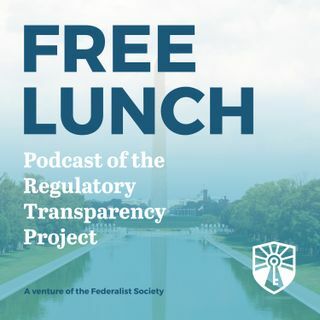 On the eleventh episode of the Free Lunch podcast, Gregory McNeal, Pepperdine Law Professor and Chairman of the RTP’s IT and Emerging Technology working group, partners with Mercatus Senior Research Fellow Adam Thierer to discuss the law and policy frameworks impacting emerging technologies. Their talk explores the idea of permissionless innovation, collaborative acceleration, and why a cross-cutting working group focused on emerging technology is necessary for the Regulatory Transparency ... See More Project. Visit our website – https://RegProject.org – to learn more, view all of our content, and connect with us on social media.